This recipe was delish and yet so simple. I've decided to embark on a 'simple' cooking expedition. I do have a guinea pig, in the form of a young man, he's happy to help with the tasting. 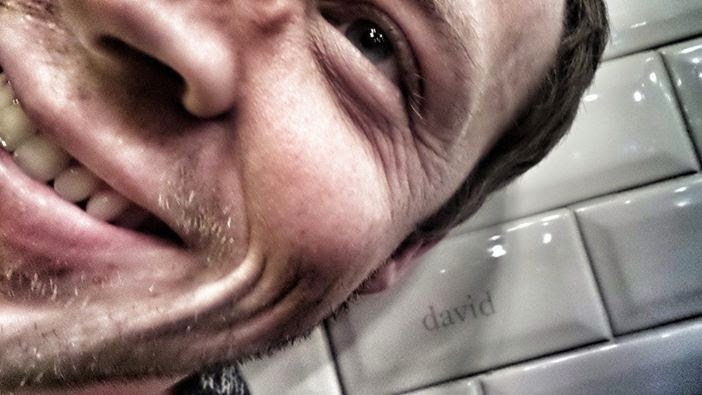 Meet Dave. Dave is always hungry, which is good and bad, I wonder if he'll ever give me bad feedback on my cooking. Maybe I'll find out this time. 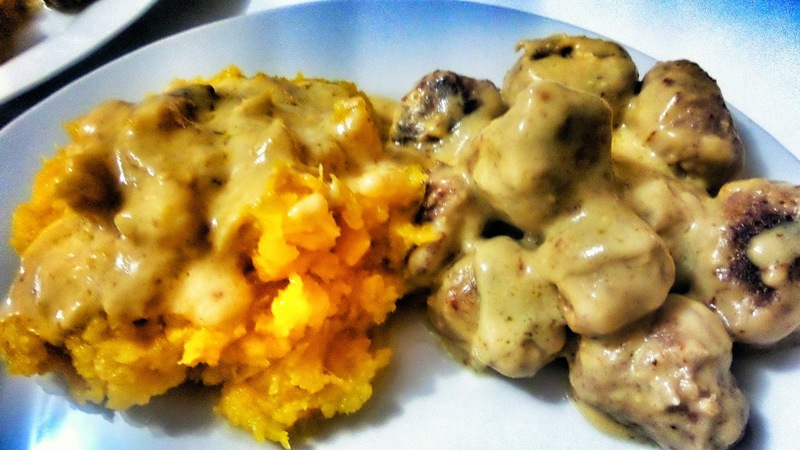 The first thing I made was this mouthful - Pork Sausage Meatballs with Creamy Mustard Sauce and Gem Squash Mash. The result - amazing! The sauce is rich and creamy (I happily substituted the double cream with Greek Yoghurt which I think toned it down a bit). It compliments the mash (which can be quite plain) wonderfully. The meat balls - they made me happy! 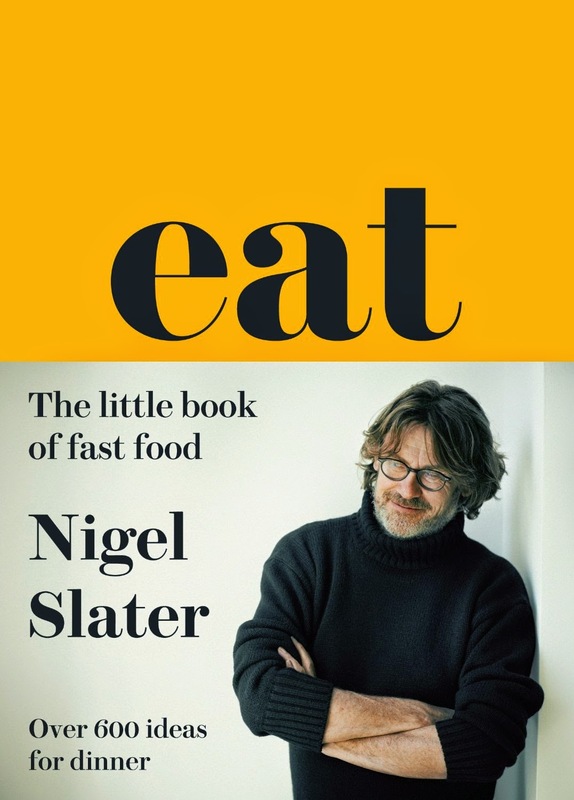 The amazing book, Eat - By Nigel Slater - was lent to me by a colleague, she apparently bought it while a little tipsy. Now I'm definitely buying it! This book is packed with 600 simple recipes, easy-to-find ingredients and colourful meals. Dish all the gem squash into a bowl and add the butter. Mash. Bring to the boil, reduce heat and reduce the stock. Add the yoghurt and 1 tablespoon of mustard. Remove the meatballs and allow the sauce to cook for another 5 min. Dish up the meatballs and cover your gem squash mash with the leftover sauce.